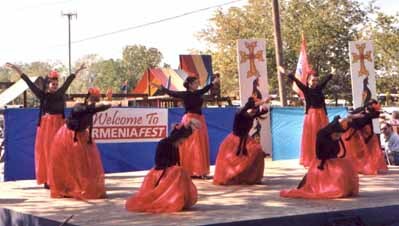 ​The excited crowd as they had gathered around the stage enjoying the Armenian dances. 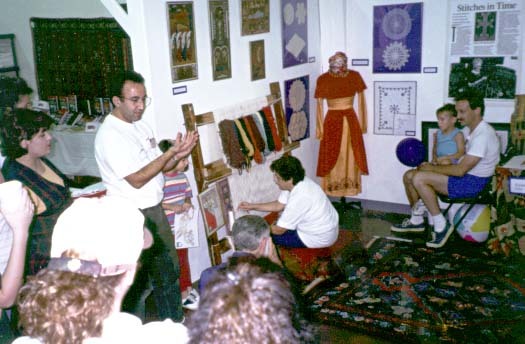 ​Sarkis Altunian, a talented artist and an expert in rugs, describing some of the intricacies of carpet weaving to the crowd as his mother, Mrs. Altunian, was demonstrating the technique. ​Let's begin with the storytelling, shall we? 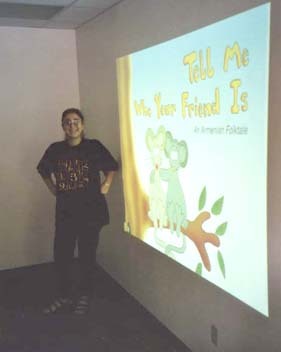 Maral, combines her natural talent with children, and her professional skills in education, and entertains the visiting children to ArmeniaFest. Bring your children along and let them enjoy some fun beautiful hour with our Armenian School teachers. 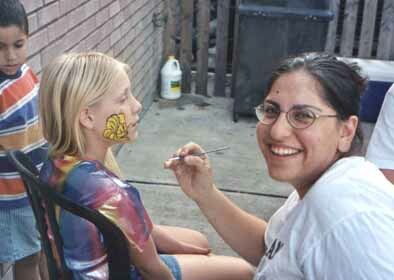 ​And, while we are on the subject of children, let another Maral paint beautiful designs on your children's face. Arts Exhibit Booth where every year, very gifted and skilled ladies demonstrate one type of traditional art, or the other. 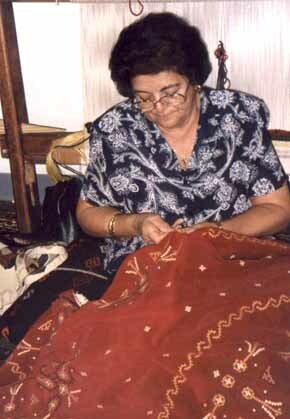 Mrs. Ketenjian is demonstrating the art of Marash stitches. This is a rare type of art and a very few women are able to do this in the United States. Marash stitches are cross type stitches. The fascinating thing about this style of embroidery is that it is as clean and beautiful looking in the back as it does in the front. You must see it to appreciate it. 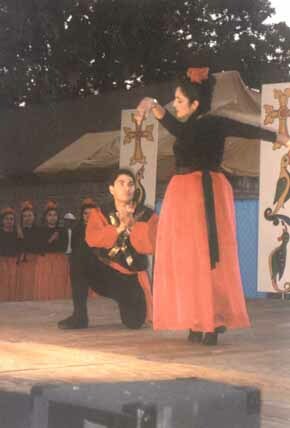 ​Here is one example of the grace that you'll experience with the Armenian folk dance! 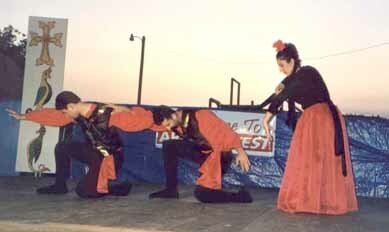 ​Margo choreographed our 1999 ArmeniaFest dances. You can practically feel the beauty of the moves and the grace of the dancers. This beautiful apron is available for purchase at ArmeniaFest only! Thank you Gleese for showing us your apron. 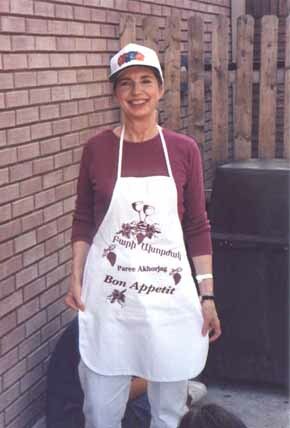 ​And, who else would've designed this beautiful apron but Annie Graham herself. She is one of our many gourmet cooks who sells all sort of delicious baked goods during ArmenianFest each year, as well as demonstrating how to bake them. Annie is looking right at you! Say "Hi Annie!" 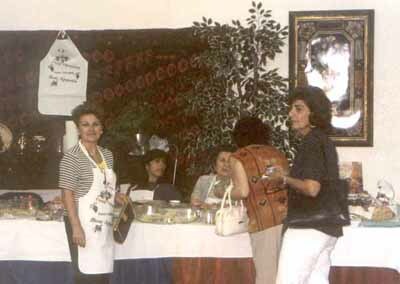 ​While you are at ArmeniaFest, please don't forget to visit our beautiful gift shop. 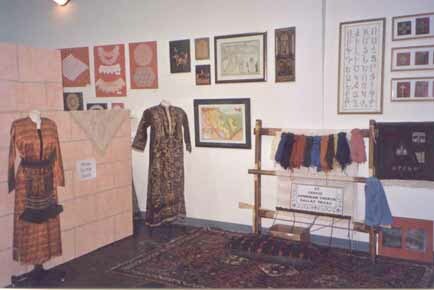 You will find rare manuscript reproductions, hand-cut wood baskets and many many other unique gift items. Go ahead, knock yourself out. It won't be around for another year! 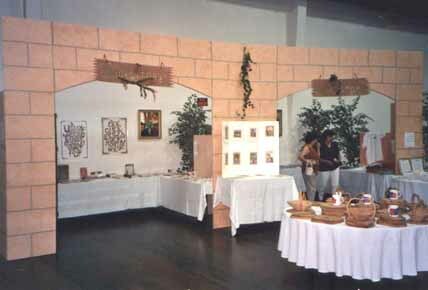 No, you can't buy the items displayed in the Arts Exhibit booth. 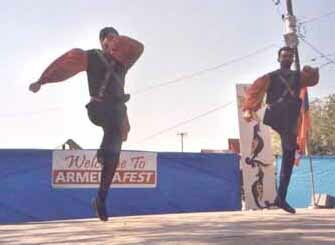 But, you can get a very good idea of what the Armenian tradition is all about. Don't miss the lace and carpet weaving demonstrations. They are quite a crowd pleaser. ​If you haven't read about Diana, please do. She is quite a joy to listen to. And, here is the second generation - Anais. 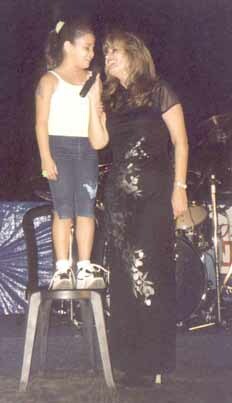 Mother and daughter are quite a talent duo, whether they are singing or dancing! ​The Groung dance group was initially formed and trained by a very talented instructor from Armenia, Mrs. Datevik Gharibian. Since her departure, Mrs. Margo Kaftajian has taken the responsibility of instructing the new Groung members and they continue to entertain us with some of the most delightful Armenian dances. 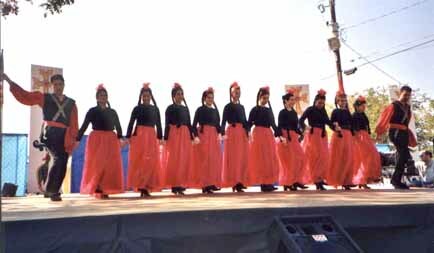 ​We also need to mention that the beautiful costumes for these graceful dances are designed based on traditional designs, and created right here in Dallas. 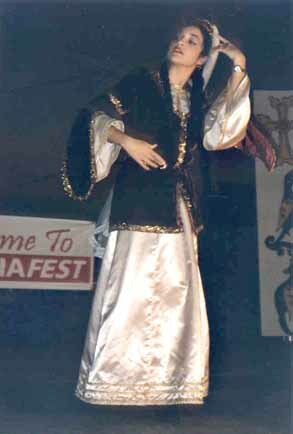 This costume was prepared by Mrs. Titoyan (Andrea's mother-in-law). ​The beautiful costumes for the dancers were designed by our own Tamar Toranian, a young talented fashion designer herself.